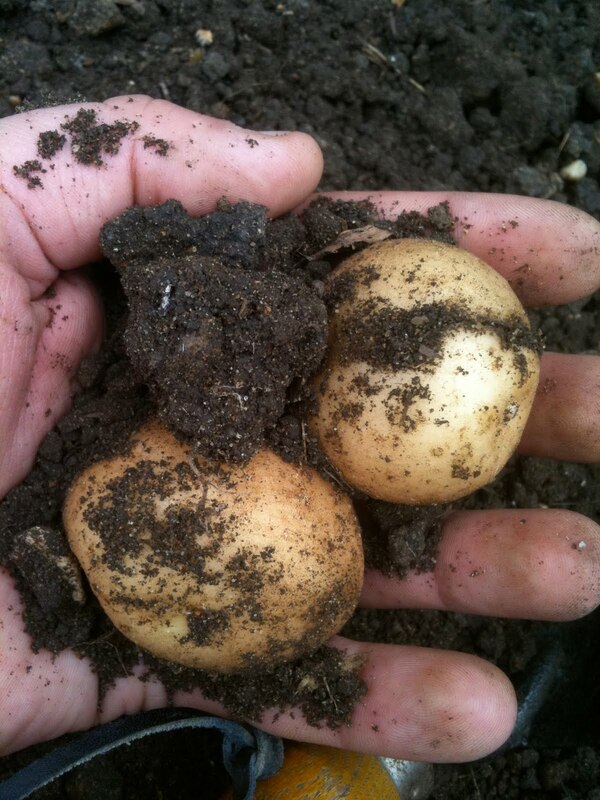 The London Vegetable Garden: Potatoes, Potatoes, Potatoes! You could dig them up with your hands I guess. Back when I was growing potatoes my gardener said to wait until the flowers had died, and then dig them up. 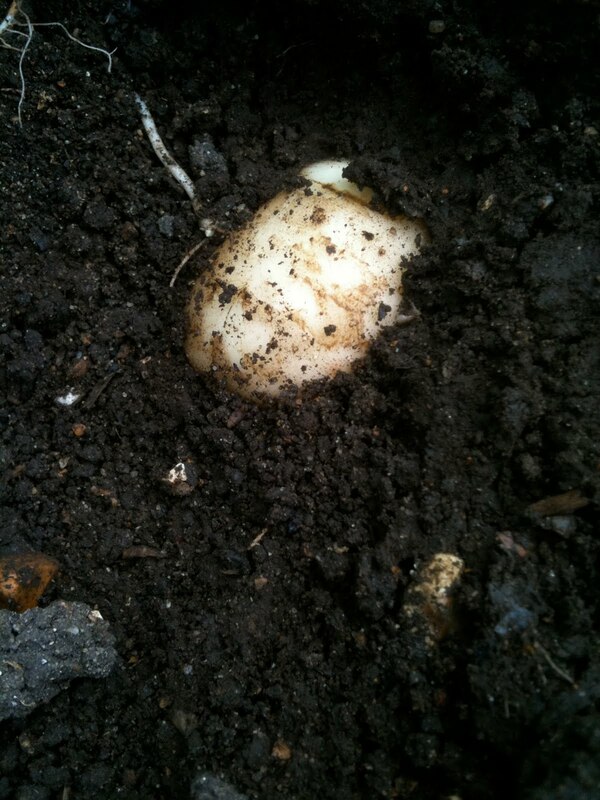 The soil was pretty loose so it was easy to just dig them up with our hands. I tried growing spuds in bags lasts year, and although the crop was small, there was a nice lucky-dip feeling to rooting around with your hands trying to find them. But on the tools side, my dad always used a fork when I was a kid. I guess it is because you turn the soil over but there is less edge to catch the potatoes with. 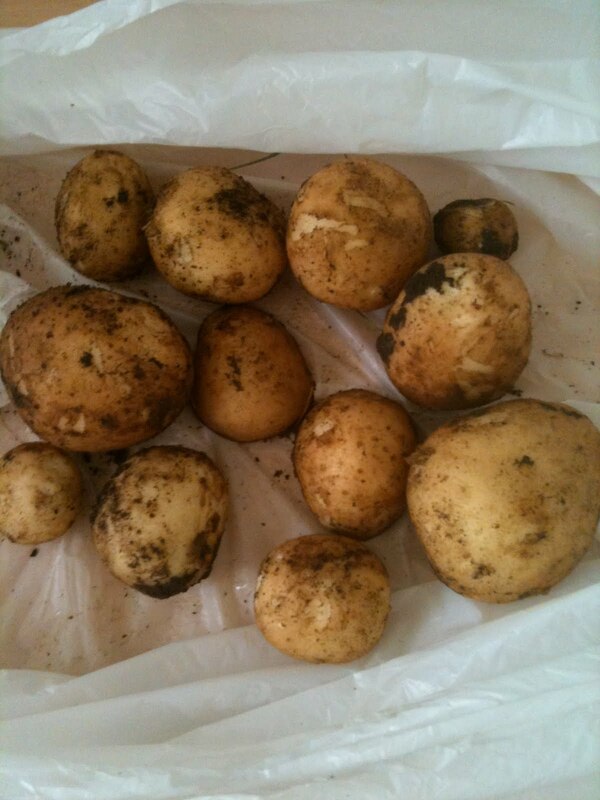 Nice to see what others are doing on the other side of the ocean... Nice potatoes! You have a very nice site... good luck growing and keep writing! The professionals use all kind of weird and wonderful tractor attachments, and even a special machine that just lifts the whole band of soil that the potatoes are in, for it to be riddled and dropped; minus filtered potatoes.